Praying the rosary can be an overwhelming task for both children and adults who didn't grow up praying it regularly. 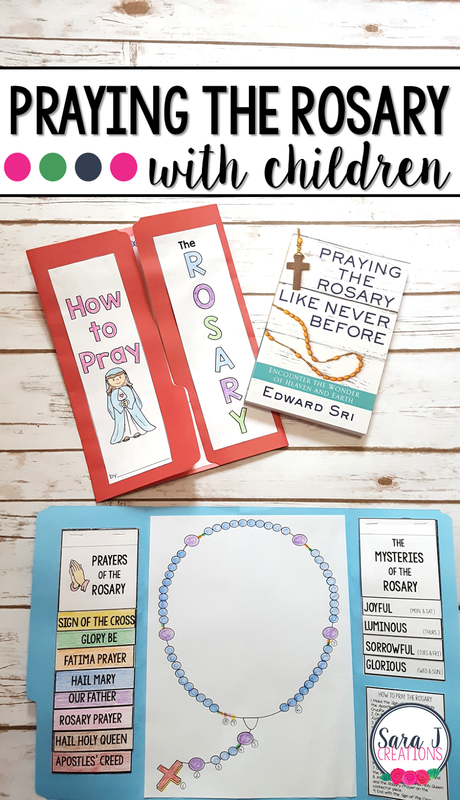 When I heard about the book Praying the Rosary Like Never Before by Edward Sri, I was excited to check it out for my own knowledge, as well as get ideas that could be used when teaching children how to pray the rosary. I really liked how this book made praying the Rosary a very manageable thing, no matter where you are at in your prayer life. He suggests breaking it down throughout the day and only saying a decade at a time - not only so that you can fit it into your busy schedule (as a response to "I don't have 30 minutes to pray the Rosary in my day"), but so that you can also remain focused and mindful while you are praying. I think this is a great tip for adults, but also for children who won't have the attention span for the full rosary but can build up to it. If Pope Benedict XVI can admit that his mind wanders and that praying the whole rosary in one sitting is hard for him, we shouldn't feel bad when we struggle with staying focused on our prayers and thoughts. My other favorite part of this book was when the author, Edward Sri, addressed common questions that non Catholics often ask or accuse Catholics of such as praying to Mary or worshiping Mary instead of her Son, Jesus. His answers make sense and are easy explanations to have in our back pocket, especially for us cradle Catholics who have always done that, but can't necessarily verbalize the reasoning. I think some of his explanations would be great for students so they truly understand what they are saying during these prayers, who they are praying to and why the Rosary is such an important part of our prayer lives. 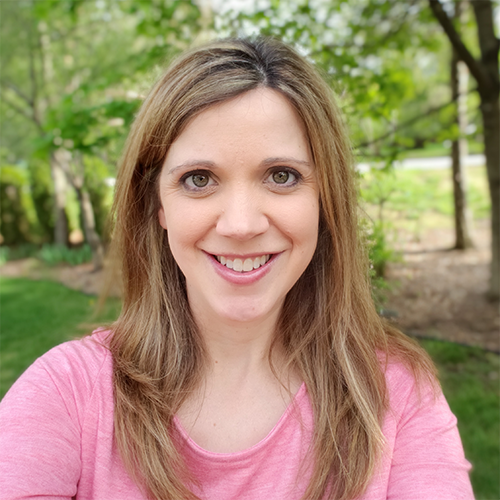 Each chapter ends with group study questions that would make for great discussion questions in a book study or even posed to students. There is also a history of the rosary which is helpful for background information. This book takes into account that you have some prior knowledge about using a rosary to pray so it doesn't spell out specifically what prayer you say on what bead with a diagram. I feel like children will need that extra support especially if praying the rosary is new to them. I created a Rosary Lapbook that gives students a visual of what prayer to say on what bead. It also gives them the prayers and the shortened versions of the mysteries. It is a way to build in some guidance and support as they learn to pray the Rosary. The second half of the book, Praying the Rosary Like Never Before, would be paired perfectly with this lapbook. Edward Sri goes through each mystery and has a biblical reflection. These would be great to read aloud with students as you pray the Rosary (or even a decade) in class. Again, the book is written for adults, but I think some of the rhetorical questions and specific images could give students a great mental image to reflect on as they pray. Praying the Rosary Like Never Before is a great book for helping parents and teachers to deepen their understand of the rosary and their prayer life. The information can be presented to children to help in their faith formation as they learn to pray the Rosary and hopefully make it a lifelong habit.